Need more apps for your favorite device? iOSnoops can help! Here are 18 iPhone and iPad apps that have just gone free. 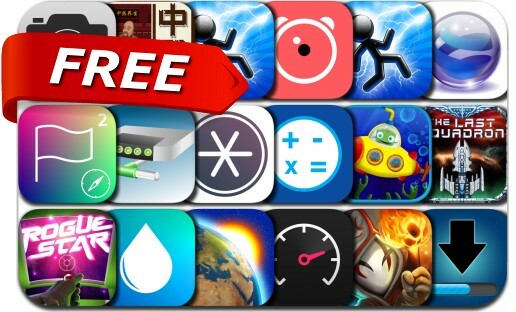 This apps gone free alert includes The Last Squadron, The Greedy Cave, Alarmy, Financial Calculator Premium, Weather Now US Local Forecast, Tesla Wars, Speedometer∞, IDM High Speed Loader Pro, Blurify, Net Master, Rogue Star and many others. Clean and flat iOS style Financial Calculator for everyone! Up to 10 different color combinations to fit your needs. Whether you are a seasoned investor or you just have questions about paying off your credit card, refinancing your home, or planning your contributions, the Financial Calculator Premium has the answers to your financial questions.